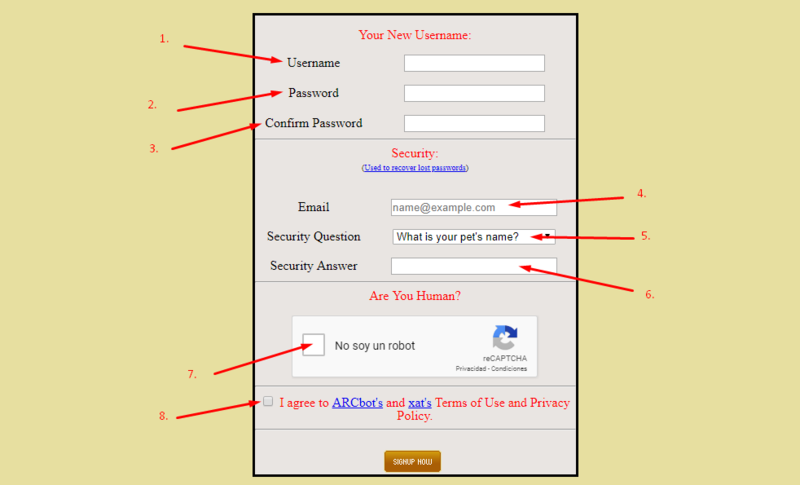 (Example 8) Accept the terms and conditions of Arcbots & xat. Paso 3. Click the button to complete your panel registration.